The crowd gathered in Thomas Jefferson Park in East Harlem on June 28 was drenched but determined. They huddled under umbrellas, jumped over puddles forming at their feet and covered their signs with garbage bags to keep them dry. Mahoma Lopez Garfias, co-director of the Laundry Workers Center (LWC), brought the crowd together for a rally as the rain stopped. The protest was a bit of a coming home for the LWC. 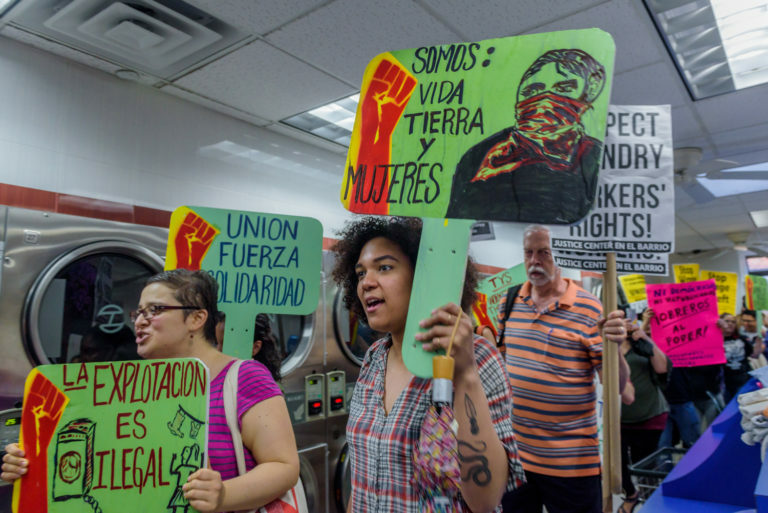 The group formed in 2011 to organize the laundry industry but the numerous laundromats, each with a limited number of employees proved more challenging than expected, so instead the center began to focus on other low-wage, high-immigrant industries. Most recently, the group led a campaign to unionize B&H Photo’s warehouses. Seven years later, it is back where it originally intended to begin. Juana (who declined to give her last name because of anti-immigrant sentiment) and Nicolas Benitez, the only two employees of TYS Laundromat in East Harlem, spoke in Spanish through a megaphone. They detailed their grievances: earning less than the minimum wage, receiving no gloves, masks or even toilet paper from their employer, no overtime pay or breaks either. Juana said that she had contracted gastritis while handling soiled laundry. With the help of the LWC, Juana and Benitez have been meeting with other low-wage workers and labor advocates over the past eight months in the hope of building a coalition to support their efforts to organize not just their shop, but hundreds like it across the city. In the midst of a summer thunderstorm, at least 50 people turned up to support them. The rally marked the inauguration of the first organized retail laundromat in New York, and potentially in the United States. The employees named their campaign Awakening, as they intend to be an example for laundry workers around the city — and potentially, across the country — to collectively bargain with their employers. There is virtually no union density in the non-industrial laundry field. The combination of small, diffuse workplaces and a largely immigrant workforce afraid of retaliation, has made the industry very hard to organize. This leaves a large void for the non-traditional and worker-led organizing tactics of the LWC. The rally followed the release of the center’s “Report on Working Conditions in the Retail Laundromat Industry.” Researchers surveyed 100 laundry employees in New York City, uncovering harsh and illegal working conditions. The LWC hopes to use the report to lobby the City Council to pass a law providing stronger protections for those employed in the 2,000-plus laundromats citywide, potentially modeled on the New York Domestic Workers Bill of Rights, passed by the state legislature in 2010. “We are looking at different models and are looking to see what we can use for all of the industry,” said Rodriguez-Aran. The study was the culmination of two-and-a-half years of work, aided by the Urban Justice Center’s Community Development Project. LWC staff conducted the interviews for the project, while the Community Development Project trained researchers and helped to analyze the data. It provides groundbreaking information about retail laundromat workers, who, the survey found, are 99 percent people of color, 86 percent female and 79 percent immigrants. Laundry workers often work alone or with only one other employee, and as a result, 54 percent experience some form of harassment, often from customers. A quarter of workers who reported harassment had been called racial slurs at work. They are often underpaid and overworked. One in five workers were paid less than minimum wage, according to the survey, while 36 percent of workers were underpaid or not paid at all for overtime. Almost a third of workers did not receive any sick days or time off and 15 percent were not provided breaks. Virtually all workers, 99 percent, have been exposed to hazardous materials while doing their job. This has led to roughly a quarter developing allergies and a fifth experiencing skin conditions. Often the worst exposure is from soiled clothes that customers bring in. Garfias heard workers complain of laundry bags full of blood, bed bugs and cockroaches. One worker, he said, “found a dead cat in a laundry bag.” Meanwhile, one in five laundry employees were forced to purchase their own protective gear. Benitez and Juana raised objections over their working conditions to their employer before connecting with the LWC but these were ignored. Benitez has worked at TYS Laundromat for eight years, after moving to New York from Guerrero, Mexico, Juana has worked there for ten, but neither know their bosses’ real names. Instead, they call their male boss Roco and their female boss Bena. The pair met Garfias when he came to the laundromat to gather information for the center’s report. Benitez and Juana filled out the survey and said they wanted to learn more. They contacted the center again in October 2017 and their training as activists began. The LWC encourages workers to be union organizers themselves, instead of clients of a staff of professionals. This point is extremely important for Garfias, who himself came to organizing through a LWC campaign while working at an uptown bakery. While he is now a full-time organizer, he’s found campaigns only work when the workers are in charge. As the sun burned away the clouds on June 28, the protesters marched half a mile down 116th Street, the heart of El Barrio, to TYS Laundromat. Rush-hour commuters held their fists in the air and honked their horns in a show of support. The march entered the laundromat and snaked between the washing machines, startling customers and one of the managers. 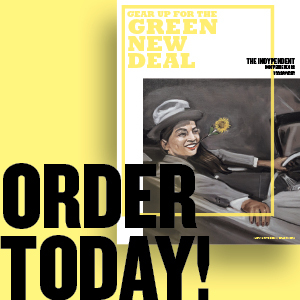 The demonstrators chanted until it was time for Benitez and Juana to present their demands: minimum wage instead of $8.25 an hour they earn, protective gear and breaks on the job. A few days later, he and Juana had their hours cut. 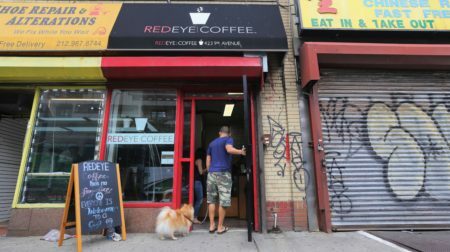 The center’s legal counsel told the laundromat owner that it would sue if the retaliation continued. Shortly thereafter, the pair’s hours were restored and their demands were met. While the campaign was a success in this instance, the center knows the industry is too fractured for it to train leaders at every laundromat in the city — not that that is going to stop the LWC from reaching as many workers as possible. The center is also preparing legislation for the City Council that will protect laundromat workers from on-the-job hazards. Garfias anticipates it will be ready within two years. LWC organizers have already met with Councilwoman Diana Ayala (D-East Harlem) multiple times. They plan to have laundry workers drive the creation of the legislation. Photo: Laundry workers and supporters rallied at TYS Laundromat on June 28. Credit: Erik McGregor.